“Adam, it’s mom,” I said. “Hello? Your reception is terrible. Try moving to a better spot,” Adam said. I walked to the other side of the room. “How’s that?” I said a little louder. 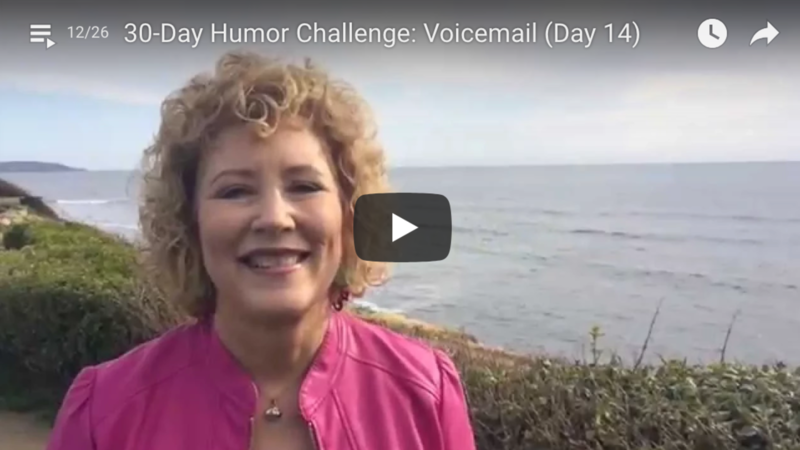 Today’s humor challenge: Leave something humorous on your outgoing voicemail message. You can have fun AND give folks calling you a reason to smile. Over the years I’ve collected dozens and dozens of humorous outgoing voicemail messages. Here are a few of my favorites. Try one of these, search for other funny messages, or make up one of your own (and send it to me for my collection!). That’s today’s humor challenge. Have fun. Be creative. Create a funny outgoing voicemail message. Voicemail has become a way of life. Might as well make it fun!